You can listen to this free preview here on RosterWatch or Apple Podcasts, Google Play or Stitcher as linked below. We are pleased to introduce the RosterWatch PRO podcast, which will be available exclusively to our winning community of PRO subscribers here at RosterWatch.com. This first episode is a FREE PREVIEW available on all the traditional podcast providers such as Apple Podcasts, Google Play and Stitcher as well as at RosterWatch.com/podcast. Moving forward, the PRO podcast will be found in your downloads section where the other premium draft and weekly and DFS tools can be found. 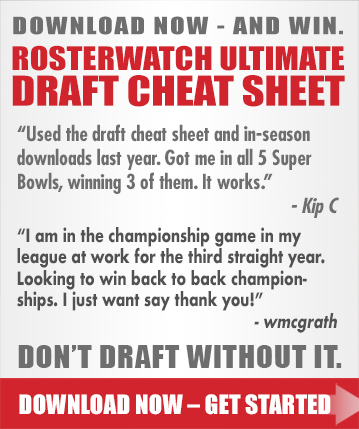 Sign up here for a PRO membership at RosterWatch.com. The standard RosterWatch podcast, available across all formats mentioned and at RosterWatch.com/Podcast, will continue and will remain free. However, the great majority of podcast content moving forward will be reserved for PRO members in the new PRO Podcast downloads section. These will include draft-season exclusives from the training camp tour and premium, tool-specific content supplements. 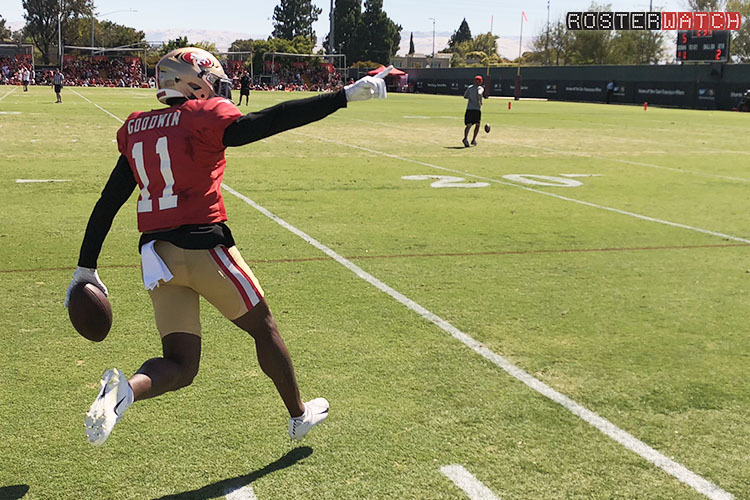 In-season, podcasts regarding premium PRO-only content such as the waiver wire podcast, the TRADEcast and the Friday DFS show will all be exclusive to PRO subscribers. We hope our PRO members are pleased with this new dedication to podcast content and the fact that it is being made exclusively for them and no one else. To all others, we hope you enjoy this FREE PREVIEW and will consider joining RW as a PRO member. Sign up is quick, easy and cheap. ‪Would you trade the #8 pick for #24 + #25? Full point PPR. Would set me up with 17, 24, 25, and 32 by the end of the 3rd round.